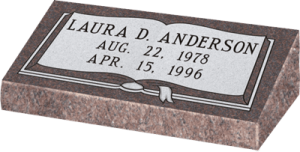 Grave Markers are generally low laying stone slabs engraved with names, birth and death dates, and can have an etched graphic. 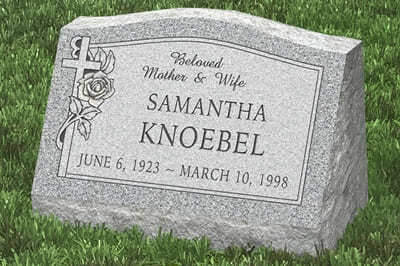 Usually, these Grave Markers are usually no higher than 6 inches. 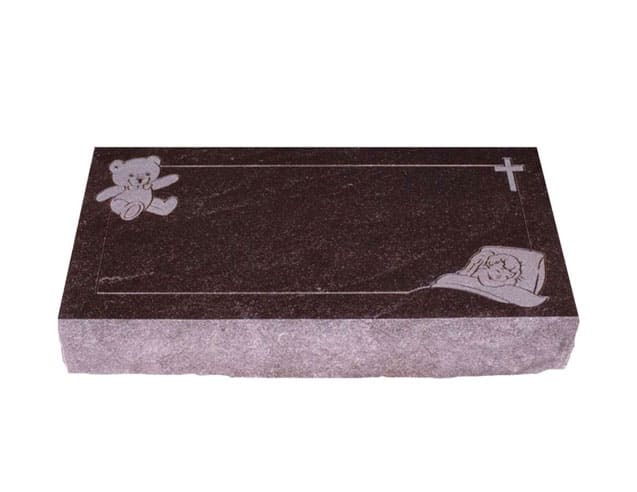 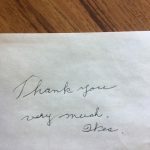 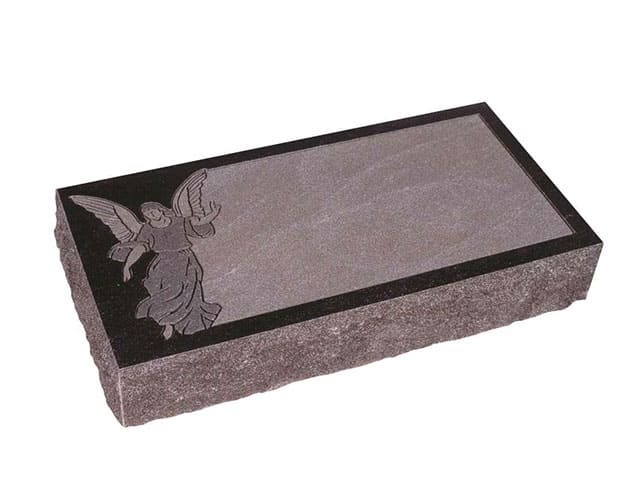 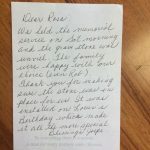 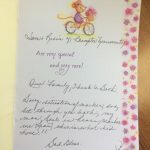 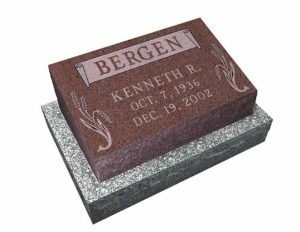 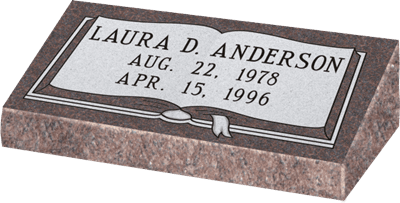 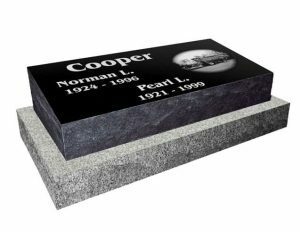 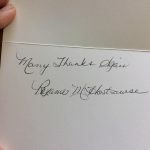 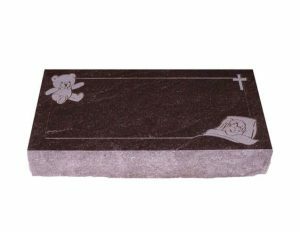 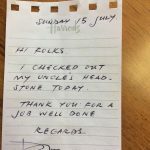 Based on the styling, there are 4 major types of granite markers for graves: Flat Grave Markers, Beveled Grave Markers, Slant Grave Markers, and Ledger Grave Markers. Based on the size, Grave Markers can also be classified into Single Grave Markers and Double Grave Markers. 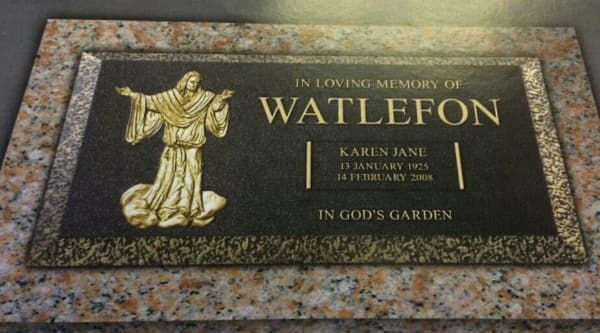 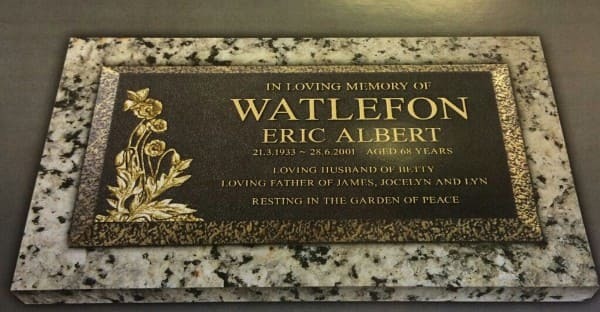 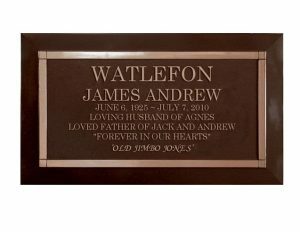 Brampton Monuments also sells bronze grave markers. 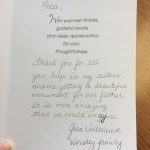 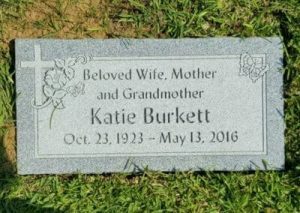 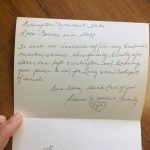 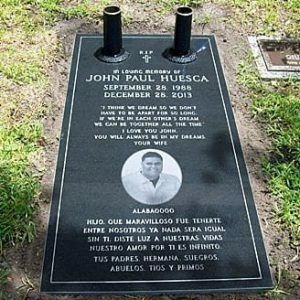 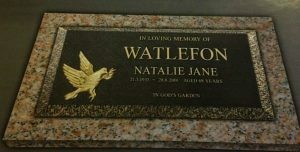 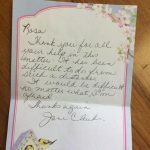 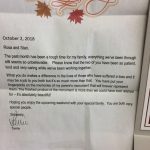 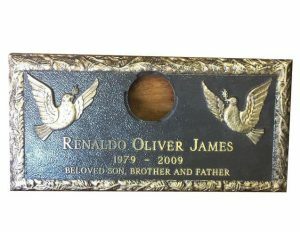 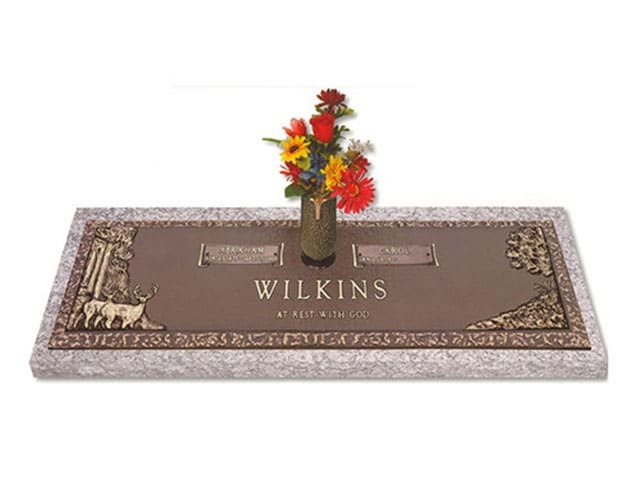 There are varied colors, sizes, and designs available to make the grave markers look unique as per the individual needs. 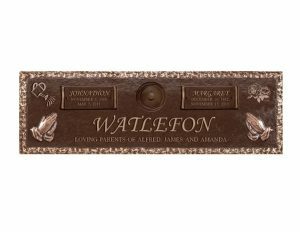 Bronze is a durable metal whose beauty lasts throughout the ages making it a wonderful material for the markers in memory of their loved ones. 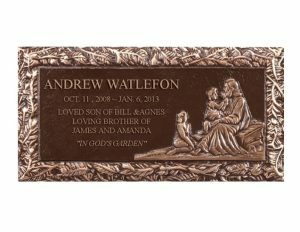 Moreover, we add date and name scrolls to existing bronze markers. 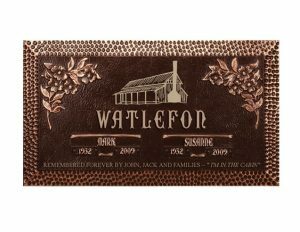 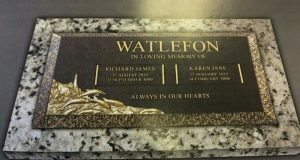 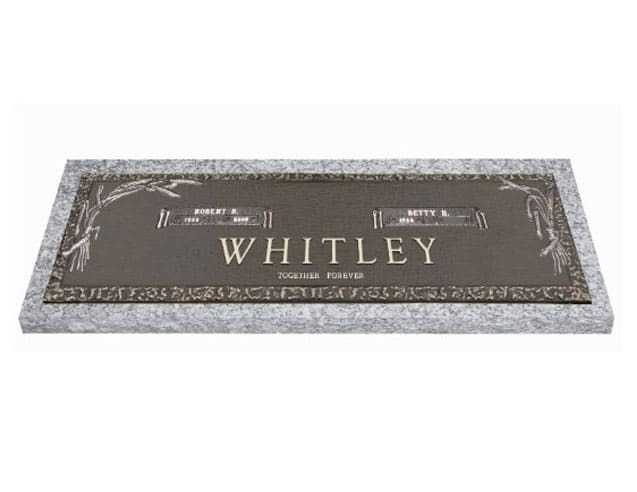 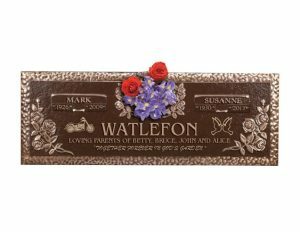 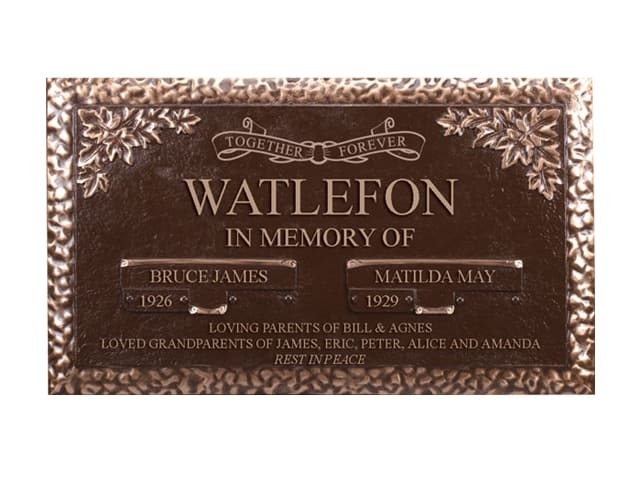 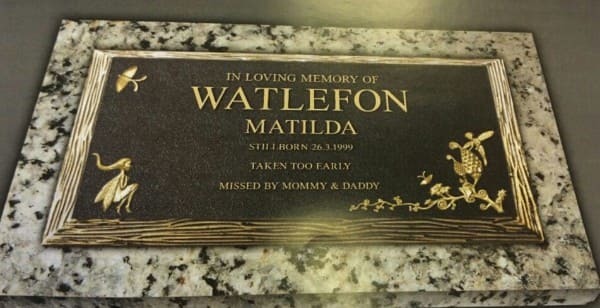 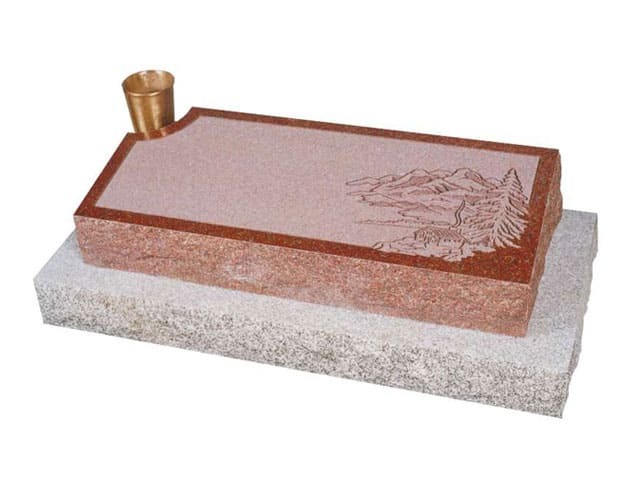 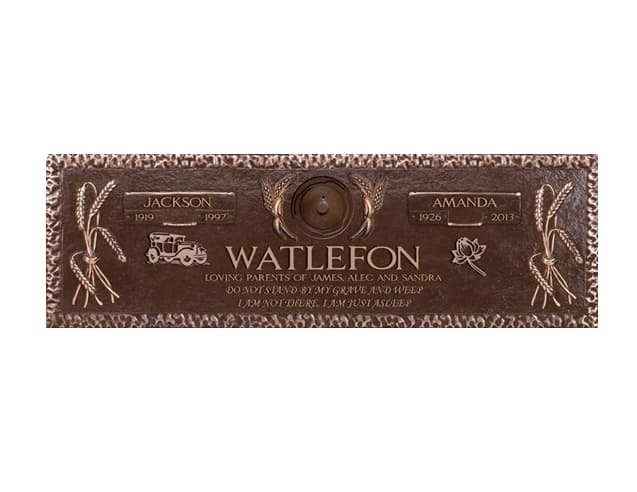 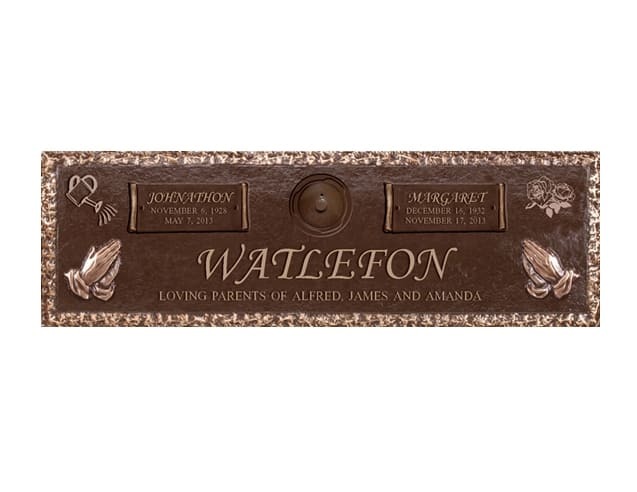 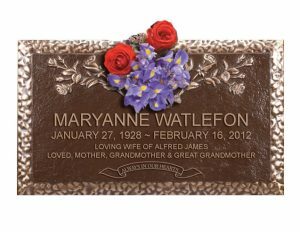 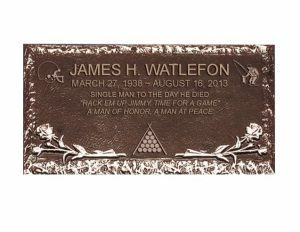 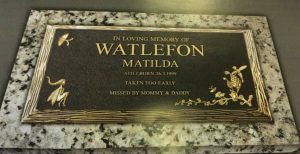 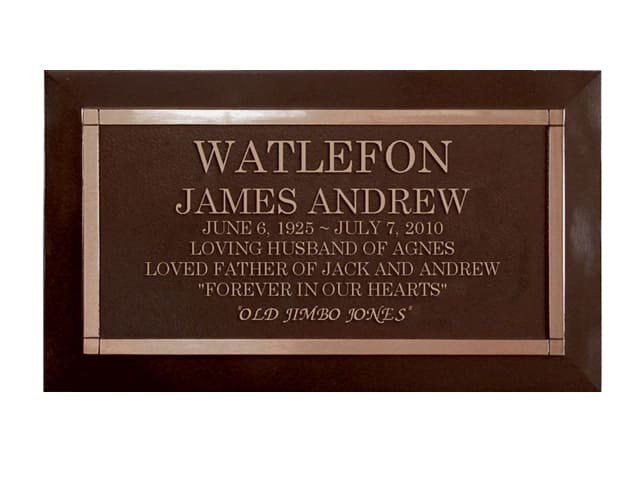 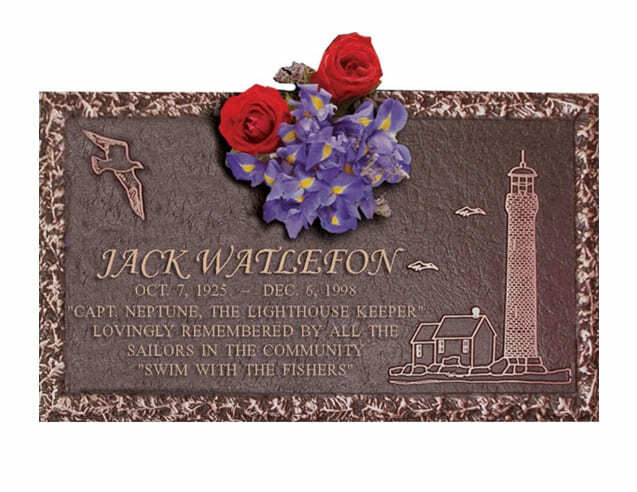 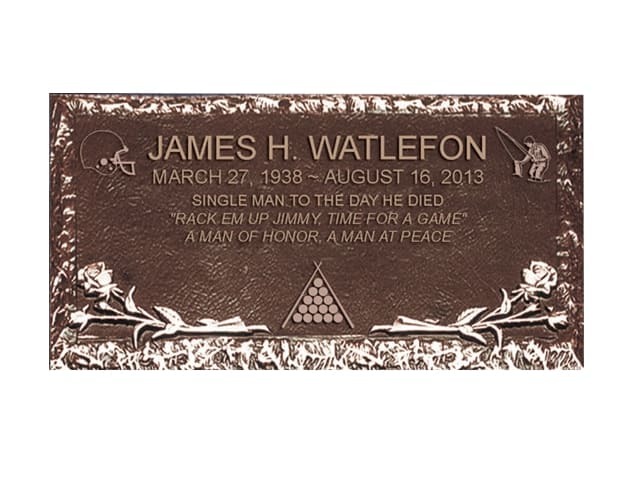 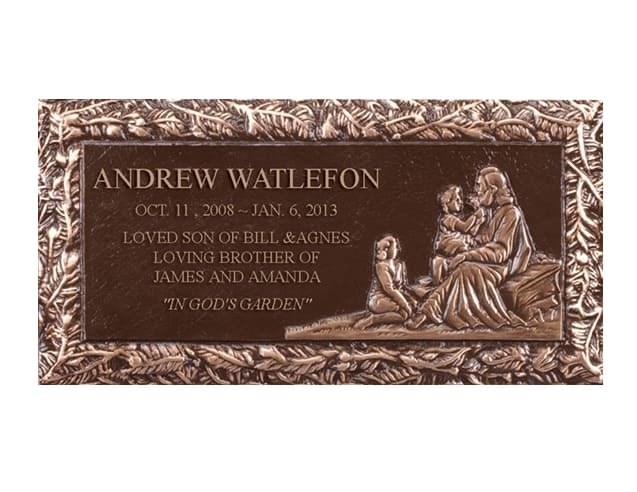 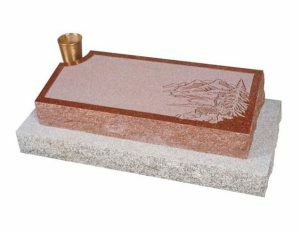 Also, you can add laser etching graphics and porcelain pictures to these Bronze Grave Markers as well as Granite Grave Markers which is most commonly referred to as Scenic Grave Markers. These Scenic Grave Markers are generally low laying stone slabs engraved with names, birth and death dates, and can also include an etched graphic with porcelain picture. 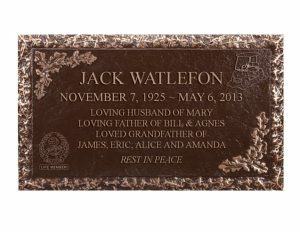 We at Brampton Monuments also have a catalogue and samples available for your reference.